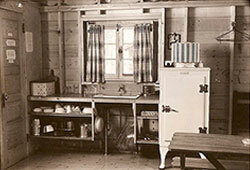 The Holly Cabins and Cottages, “The Holly”, in Old Forge, NY were founded, owned, and operated by my grandparents, Ester Eunice VanVliet Hollister and her husband Harold Herbert Hollister since 1931. 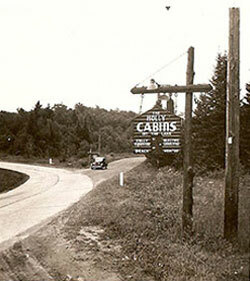 Located on Hollister Road, there were 10 cabins and cottages located on their property which sits on Old Forge Pond at the beginning of the Fulton Chain of Lakes, a series of eight lakes connected by channels and portages. 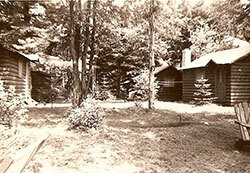 All of the original cottages, except for one called Hill Camp, had the names of trees found in the Adirondacks- Evergreen, Birch, Larch, Hemlock, Balsam, Pine, Spruce, Cedar, and Tamarack. We carry on that tradition. My grandmother’s philosophy was one “where folks could come for a real vacation good for the body and the soul – a place to relax and enjoy all of the Adirondack Mountain activities in clean and comfortable accommodations where the atmosphere is pleasant and the rates reasonable”. She fostered a clientele of families and couples who came back year after year. My grandparent’s home was right on site, and they took great care and pride in operating The Holly. My grandparents had three sons, Keith, Ronald, and David. Their three boys ended up owning property along Hollister Road. My father, Dave, and my mother, Gigi, built our home there in 1957. In 1960, Uncle Keith, along with his brothers, built the Holly Woodworking Gift Shop right at the intersection of Route 28 and Hollister Road. Uncle Keith and Aunt Gretchen operated the gift shop. 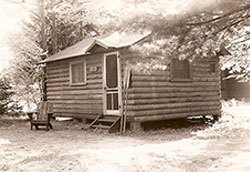 In 1987 they built a log home on the site and moved there from town. 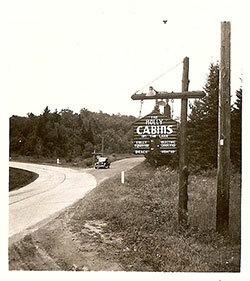 Uncle Ron built a home on the site of the former Hill Camp. When we were old enough, my sister Hillary and I worked every summer at The Holly cleaning, grounds-keeping, painting, gathering firewood, and doing other chores. My sister Scotty and I worked at the Holly Woodworking Gift Shop as did my cousins Bruce and Jon. What enchanted memories I have of growing up in Old Forge, on the lake, in the Adirondacks! When my grandmother retired, she sold her home and the cabins. 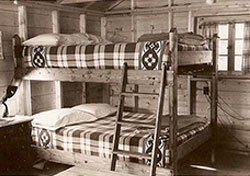 Some of the cabins were torn down. I wanted to buy her home, and my cousin Kathy and I talked about it, but neither of us had enough money to do that, while paying for our college education loans and just starting out in business. However, in 1992, I purchased “Birch Cottage”, which my family now uses for our own vacation home. 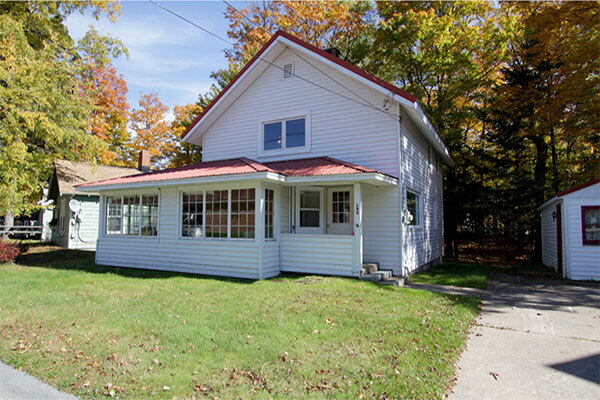 My husband, Dean, and I purchased a home in the town of Old Forge “Park Ave House” near the Old Forge lakefront in 2003. Then in 2004, my Uncle Keith and Aunt Gretchen retired. They sold the Holly Woodworking Gift Shop to my brother Will and his wife Andrea. Dean and I purchased their home “Holly Hill Lodge”. Meanwhile, Uncle Ron had sold his home in 1985 and moved up to Inlet, NY. When the people who had purchased his house decided years later to sell the house, Dean and I purchased it in 2007. 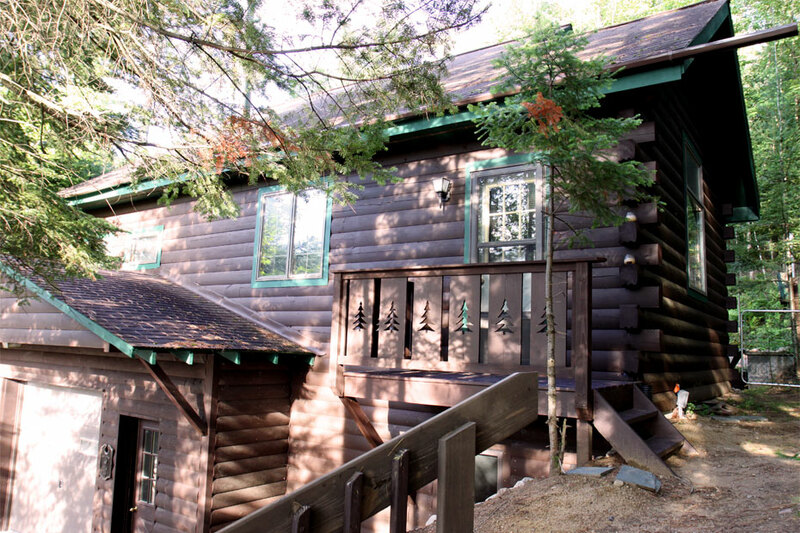 After extensive renovations in 2008, we renamed it “Evergreen Lodge”. Tamarack Cottage is a part of that property. We completely renovated Tamarack in 2008. Recently, Larch Lake House came back on to the market and we were able to bring the last outstanding parcel back into The Holly Cabins and Cottages. Key renovations were made to Larch over the summer of 2014 and it is now ready to be enjoyed by your family. 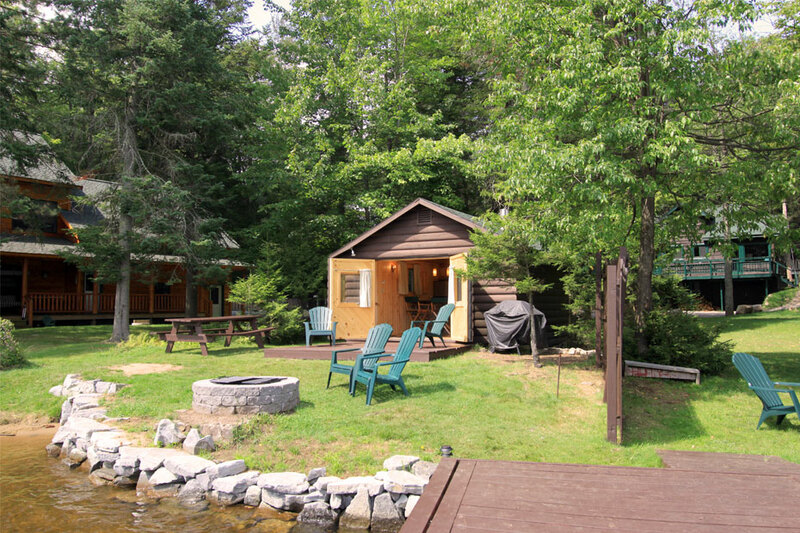 Our dream has been to bring back The Holly Cabins piece by piece, to bring the property back to our family ownership, and to offer the wonderful Adirondack experience to others. My entire family has had a hand in making that dream come true. My family members and in laws have assisted us with surveying, construction, design ideas, landscaping, cleaning…..My brother, Will, completely rebuilt the interiors of Birch Cottage and Tamarack Cottage, did the renovations at Park Ave House, and assisted with the renovations on Evergreen Lodge. 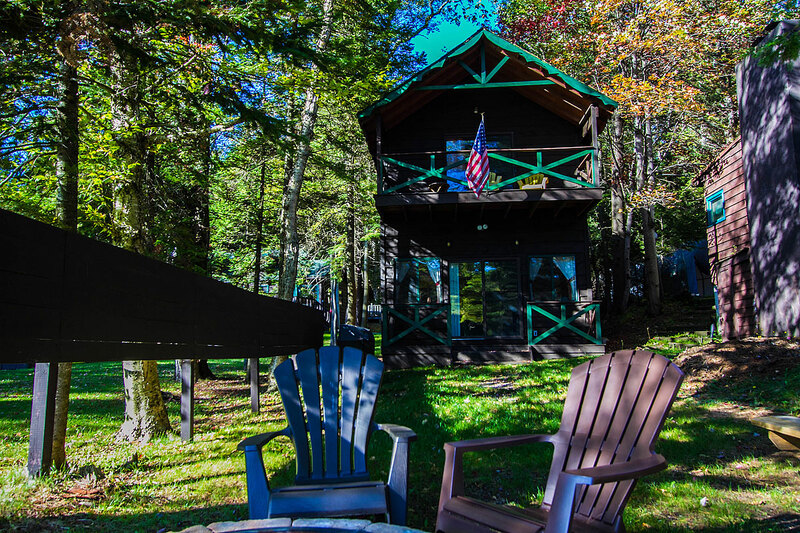 From our family to yours, we hope you come and stay with us for your vacation escape to the Adirondack Park and experience and enjoy the Adirondacks!